I think now is the day on which shred the magufos and you remove a load off explaining, briefly, a word which many have fear and respect: quantum. Quantum mechanics is not as complicated as many of you think, or as complicated as others expect. No need to be a genius to understand it and emerged from a quite natural process. The physics that we all know (read this all) is based on observing what we see, measure and make laws (thanks to mathematics) to explain and predict these phenomena. From a falling apple, to a planet that rotates. The (named) faithfully classical physics explains these processes on scales we see and with accurate results. So far everything right and perfect. But (there’s always a but) classical physics has serious problems and is unable to explain when we look at objects closely at the molecular level or observe processes in which energy (electromagnetic, for example) are predominant. The friend’s of the children, Planck, realized (late nineteenth century) that classical physics, a phenomenon particularly where intervenes electromagnetic radiation (emission of a black body) was face down mathematically and giving infinite. So Planck, as good mathematician and seeing a problem that was infinite, try to solve it “walking around” the issue and getting resolved through a series. So that we will understand about radiation that absorbs or reflects what is called a black body. As a similar example of what we can understand more easily if we observe the warmth and color of things. A white cloth is heated under a black cloth, ie absorbs less heat and therefore less solar radiation. The example is the same but with electromagnetic radiation. 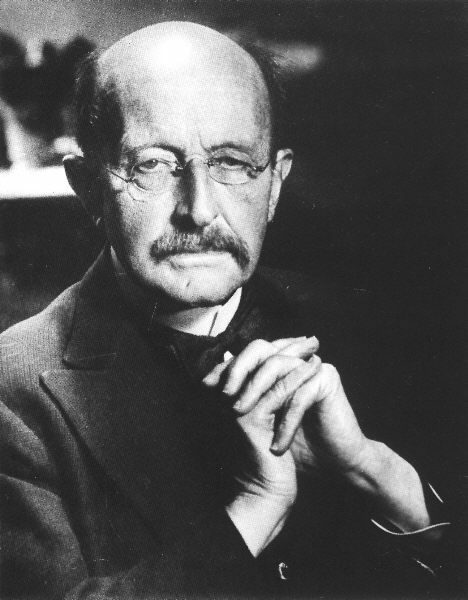 As always, helping mathematical physics and thanks to as solved the problem and observing mathematics, Planck realized that being a sum of certain terms such terms had to be something. He called them “few” and equiality with photons. And passerby pulled his constant for a walk. This great start did see that at very short distances classical physics is not to fail, but the calculations were made may not be correct. So you’re saying that there are two individuals with different formulas depending on the size ?. No. What I’m saying is that “gross” calculations we do when we see things are included calculations of tiny things. Macroscopically what we see is related to what happens microscopically. Quantum formulation of things, if we put a large scale, gives us the classical physics of life, but this, on a small scale, needs to expand (formulas) and take into account those little things that quantum mechanics uses. That is, large scale and electromagnetic forces between atoms iteration give us the same, but on a small scale, are essential. Quantum mechanics has been vital as it has made us see that life is energy, the particles vibrate and that vibration is very important for all. As an example of the above said, everything vibrates, but vibrates so little naked eye can not see, hence the need for quantum mechanics. He also added a few extras that we use in everyday life without knowing why, like or know the time of a particle or position or that everything has a wave function that describes it. In short, quantum mechanics is not magic or anything incomprehensible because we see it every day. Nor it is complicated or difficult to know only based on energy frequencies. And, as has been seen at these levels, energies and frequencies are most important, while “normal” level are positions and forces which must be something that relates everything and many physical call “unification theory “. Come on, a theory that explains through energy all phenomena occurring in the universe.